John lifted this image from a 1953 movie that his cousin Mary mentioned when she was here a few weeks ago. 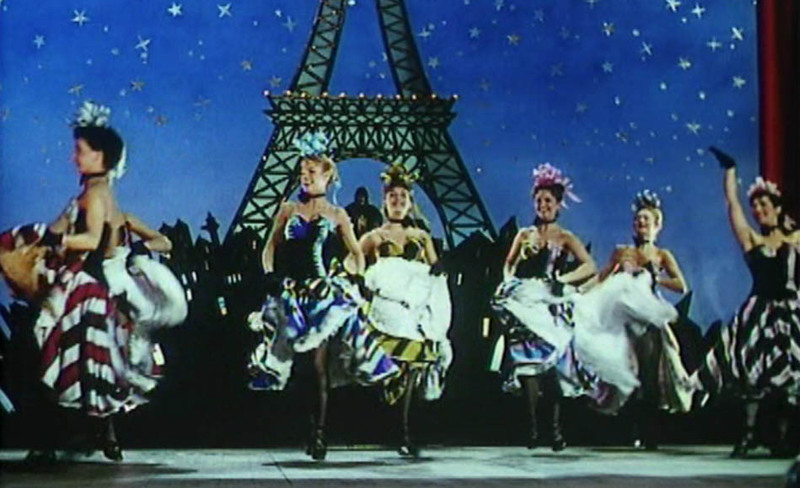 She is only in Will Any Gentleman for a few minutes, but you can’t miss the Cancan scene where Mary who was a professional dancer for more than twenty years is kicking up her heels. During her career, she danced with the Ballet Rambert, which is the UK’s oldest established dance company and still considered one of the world’s most renowned. Take a look at the six women above and see if you can pick Mary out of the chorus line. (I’ll tell you which one is her at the end of this post) John found the movie online and ordered it almost as quickly as he heard Mary’s story when she was here for Christmas. We had a great time figuring out which one was Mary after it arrived. She would have been about 29 or 30 when this film was made and having just turned 87 we thought it might be a bit of a challenge to pick her out of the group based on how she looks now. By slowing the movie down and viewing the scene frame by frame, it was very easy to see which woman is Mary. Despite the fact that her high kicking days are long past, Mary’s graceful movements as an 87 year old are still very similar to her much younger self. It’s there in the angle of her head when she is listening to a conversation and you see it in the fluid rhythm of her hand gestures when she is telling a story. 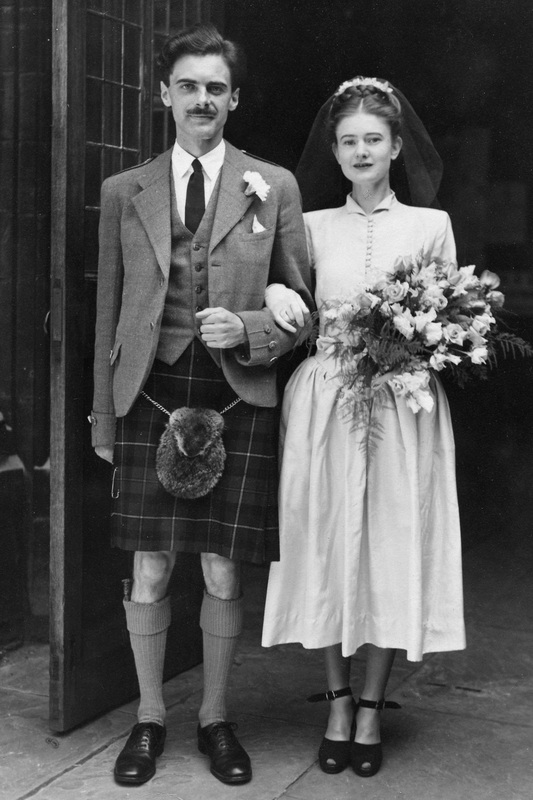 The lovely posture you see on her wedding day below is still very evident today. 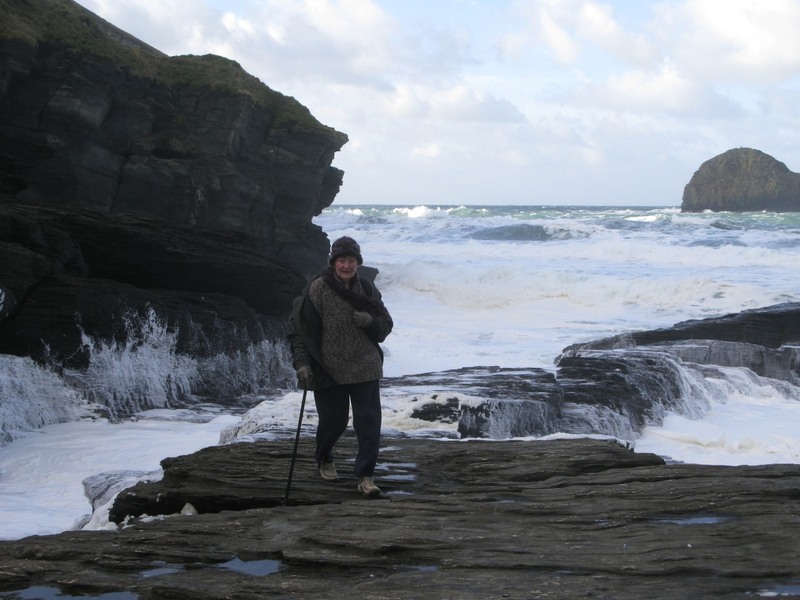 In addition to aging with grace and intelligence, Mary has not lost her taste for adventure as you can see by her decision to get close to the water’s edge on a blustery day when the sea at Trebarwith Strand was really rough. I was a bit nervous thinking that as tiny as she is she might blow over, but John persuaded me not to hover and Mary was just fine. 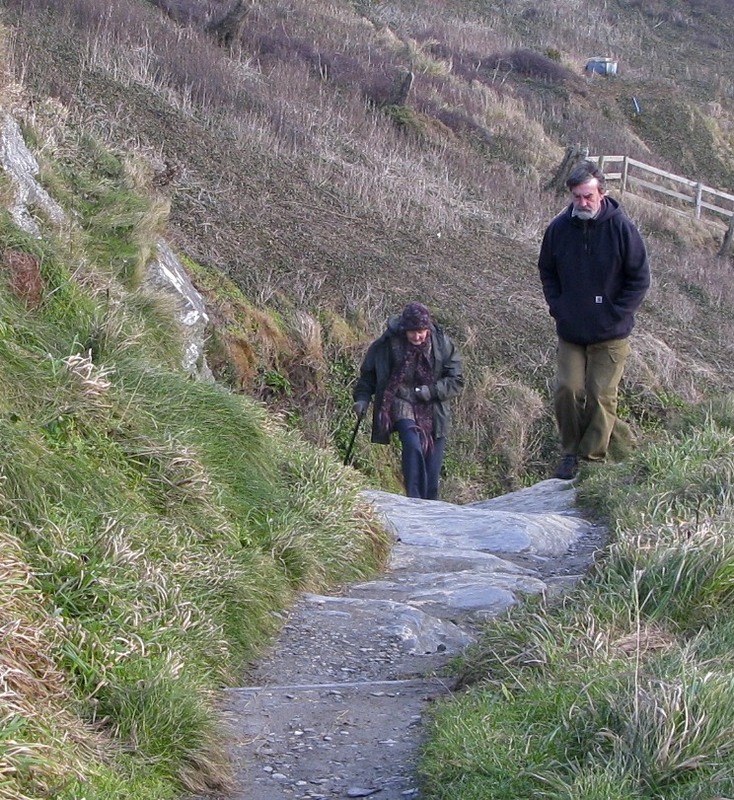 I turned around to see John (no surprise there) coming up the rocks with Mary close behind him. 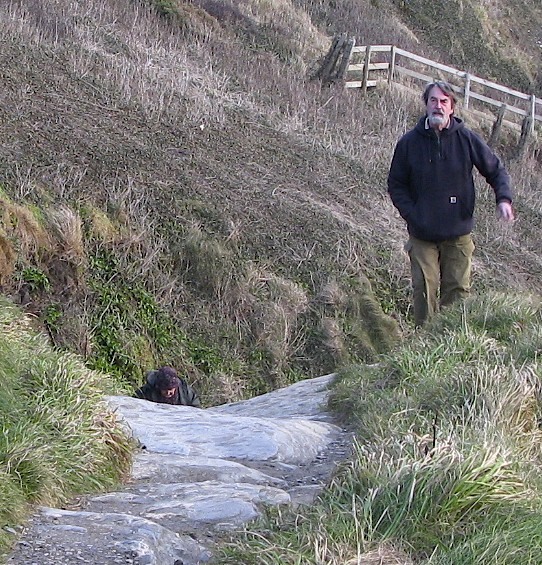 Remember what I said about adventure … she didn’t even need help going back down. My idea of what 87 looks like went through some major shifts during Mary’s visit. 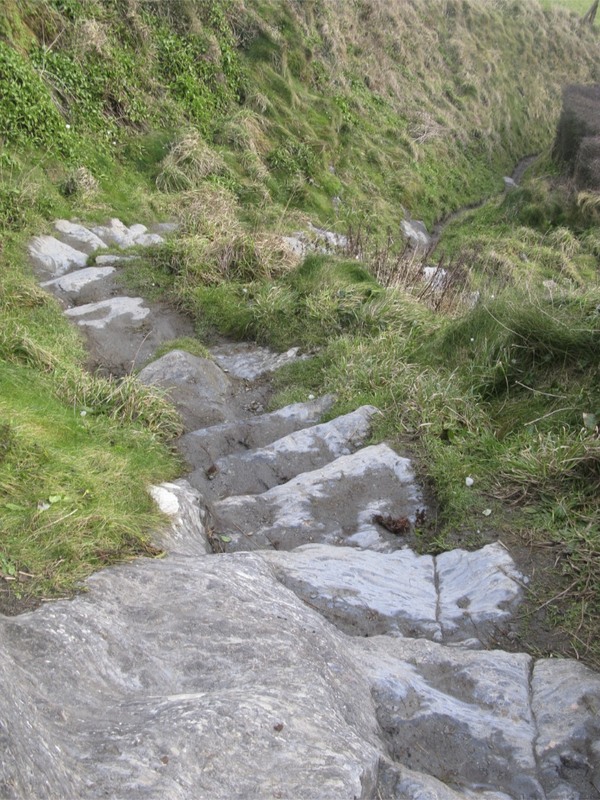 This view waits for those who climb the path. 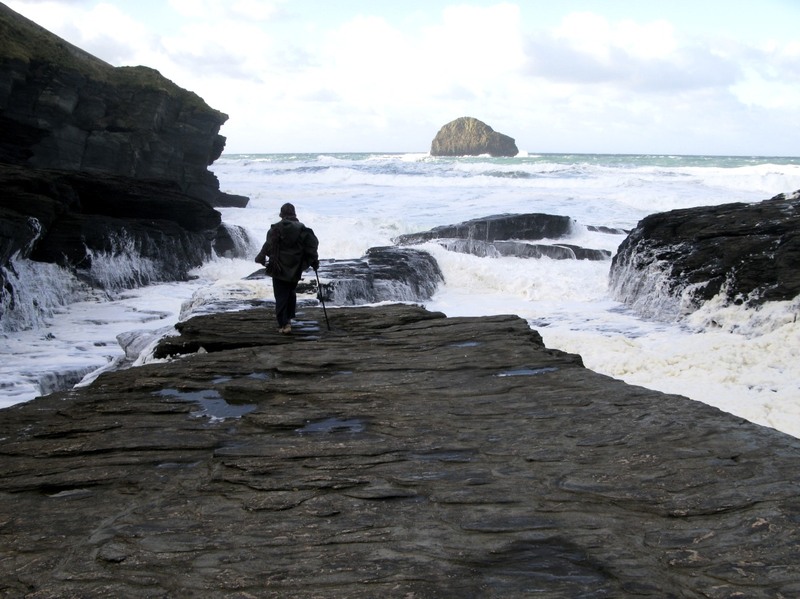 This entry was posted in Adventure, Choices, Coast Path, Cornwall, Family, Living in UK, Memories, One Word - Encourage and tagged 87, Ballet Rambert, Coast Path, Encourage, Gifts Of The Journey, Mary Bench Levack, Rambert Dance Company, Sailing, The Dance Of Life, Trebarwith Strand, Will Any Gentleman. Bookmark the permalink. OH, my. She is gorgeous. 87 and she climbed those steps….awesome. THis summer we traveled with my mother-in-law who is a go getter indeed, but she has some equilibrium problems and there were a couple of hikes where she had to decline and she is a young 65. Thank you for inspiring with Mary’s story. Wow, what an inspiration she is! What an inspiration for growing old with grace and beauty. She sounds and looks amazing. And how great to have that video with her in it, these are family treasures for sure. It makes me want to cast a look across my family, we had some pretty quirky characters, and it would be fun to explore them more. Thanks for sharing this! I hope I’m climbing hills like her when I’m 87. What a wonderful lady to have as an inspiration, and to say she is a member of your family! I took the liberty of sending this link to a few friends, so I hope they come by and read. Nothing like you got from Pioneer Woman, but still, to spread the cheer is fine. I guessed right! 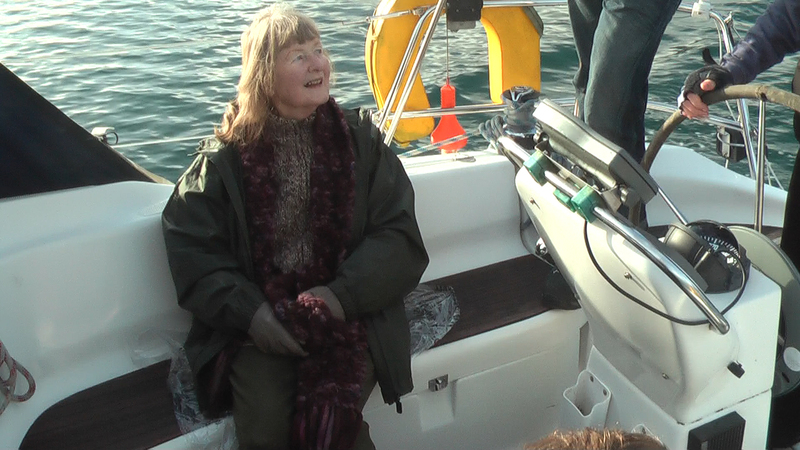 But fair dues, I had John’s video freeze frame of Mary in a boat to help me. It was the tilt of the head in the wedding photo that did it for me. Yes, I hope I am still hiking at 87. And 93. And onwards. 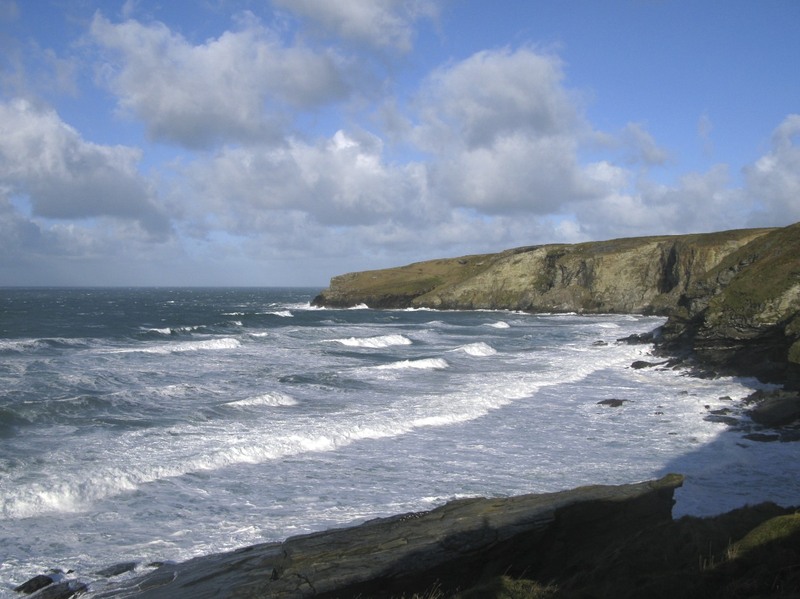 Being by the sea just makes a body want to get up and move with it. I guessed right, too. She just had the most enthusiastic look on her face and was kicking pretty good. Congratulations to her for her good health and continued enthusiasm. I am 80, but kick low and slow. what an extraordinary lady and beautiful too. that’s amazing that she made that climb. I hope I am as active at her age. I’d love to know her secret. A very inspirational post…how wonderful Mary is. I hope am like her at 87, not only in fitness but in beauty too! Wonderful story, wonderful photos! This is what we all wish for our lives isn’t it? What an inspiration Mary is – thanks so much for writing about her!